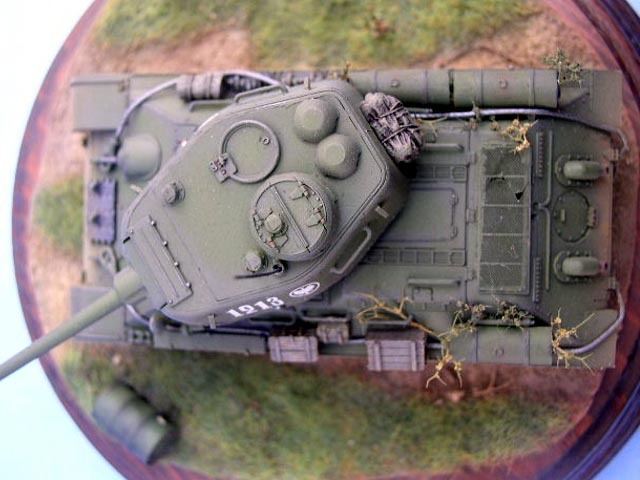 The kit is detailed just with Aber barrel and UM tracks, all extras like rolls and boxes are taken from ARMO sets. 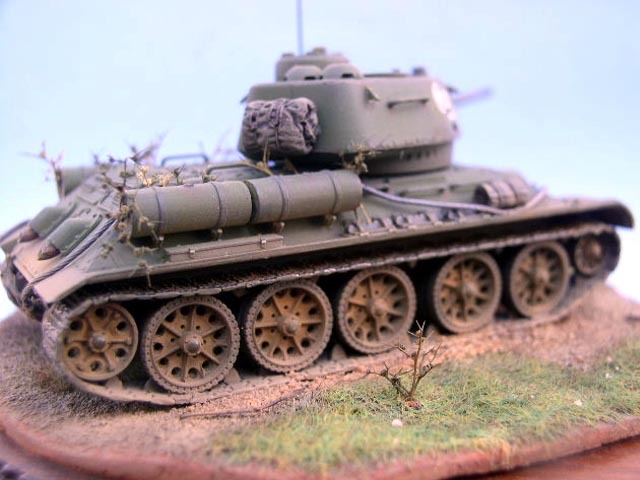 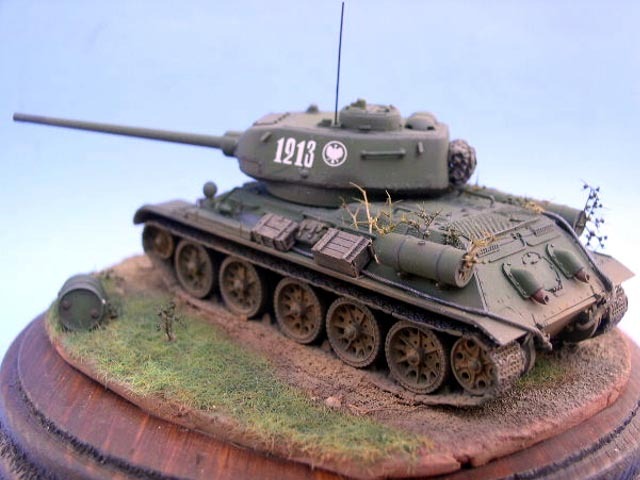 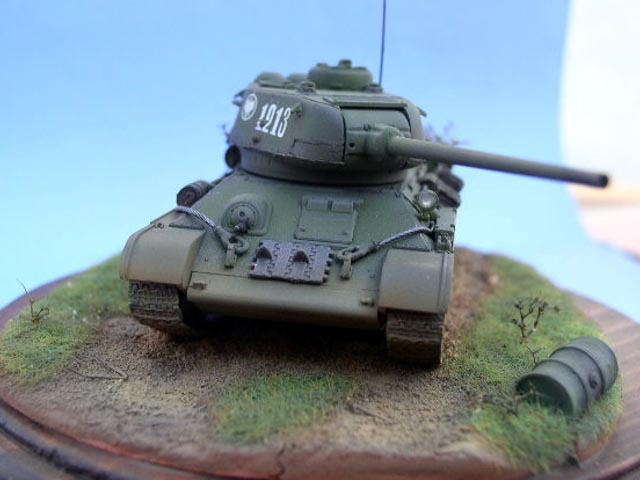 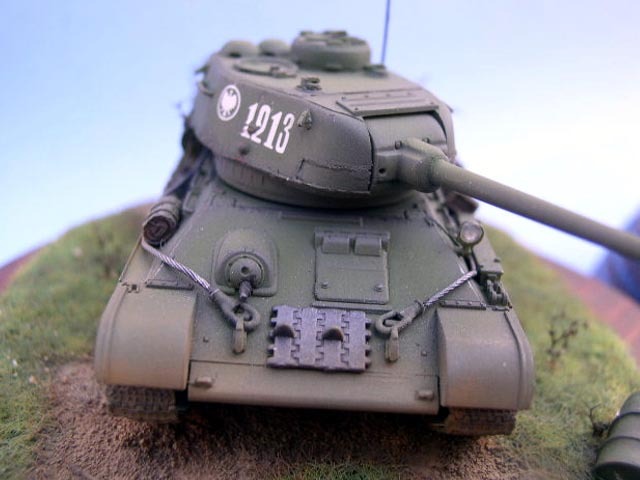 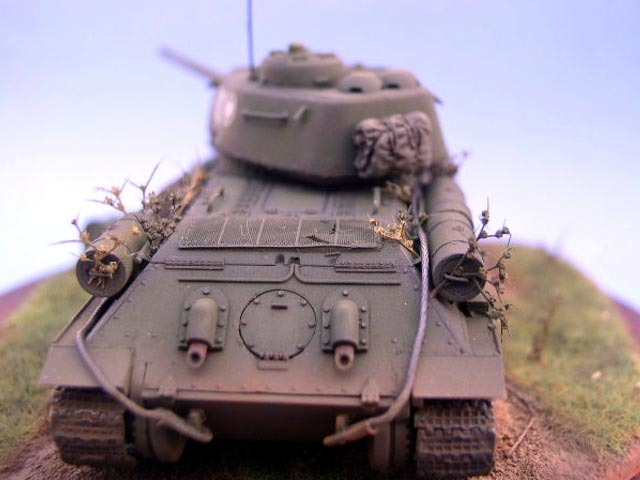 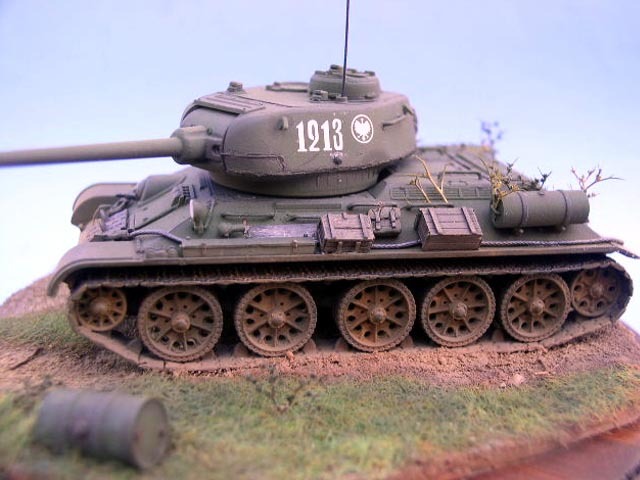 The model is painted to act a tank from a II. 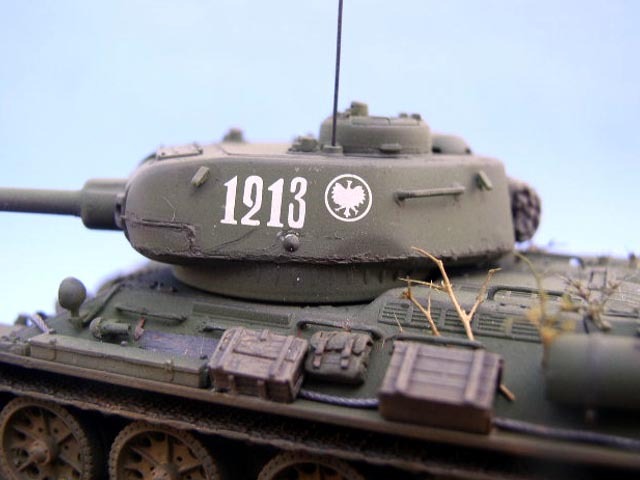 Corps, Czechoslovakia, Spring 1945.